Oriental Motor Co., Ltd. offers a wide variety of speed control motors. Our speed control motor packages include the motor, the driver (controller), and a potentiometer which allows for easy speed control adjustment. There are three speed control motor product groups. The "AC speed control motor unit" that uses the most popular single-phase capacitor-run induction motor, the small and highly efficient "Brushless DC motor unit", and the "Inverter unit" that combines a three-phase induction motor with a small inverter. 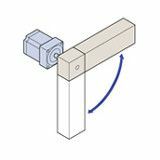 This article explains the structure, principle of speed control and the features of each product group, and our standard products are introduced. A large number of motors are being used for general purposes in our surroundings from house-hold equipment to machine tools in industrial facilities. The electric motor is now a necessary and indispensable source of power in many industries. The function and the performance required for these motors are wide-ranging. 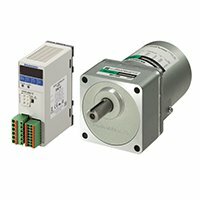 When focusing attention on the speed control segment of the motor market, servo and stepper motors control their speed with a pulse train, while the induction motor and the brushless DC motor control speed with an external resistor and/or DC voltage. 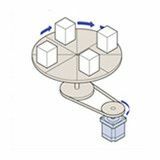 This article explains the structure, the speed control principle, and the features of the following three product groups that can control the speed relatively easily by using an analog input. 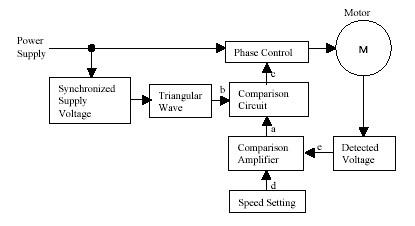 The output control method of a speed control circuit can be divided roughly into two groups: phase control and inverter control, which make up the product groups shown in Fig. 1. As shown in Fig. 2, the construction of the single phase and three-phase induction motors includes a stator where the primary winding is wound and a basket-shaped, solid aluminum die cast rotor. The rotor is low-cost because the structure is simple and does not use a magnet. 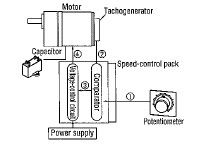 When the speed of this motor is to be controlled, a tacho-generator is used to detect the speed and is attached to the motor as shown in Fig. 3. The tacho-generator is made of a magnet connected directly to the motor shaft and a stator coil that detects the magnetic poles, and generates an AC voltage at 12 cycles per revolution. Since this voltage and frequency increase with a rise of the rotational speed, the rotational speed of the motor is controlled based on this signal. Rotational speed N of an induction motor can be shown by the expression (1). When the voltage applied to the motor is increased and decreased, the slip s changes, then the rotational speed N will change. Available voltage control methods include control by a transformer or by phase control. Fig. 6 shows when voltage is controlled by using a transformer. This method is not so easy to do with an AC speed control motor. Alternately, the AC voltage can be adjusted by setting the ON/OFF time of every half cycle of the AC voltage (50 or 60Hz) applied to the motor using a switching element (thyristor or triac) that can directly turn on and off the AC voltage as shown Fig. 7 and Fig. 8. 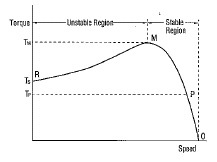 Speed control is obtained by the phase control method by controlling the r.m.s. value of the AC voltage. This AC speed control method can provide steady speed control by closed-loop phase control even in the unstable range. Fig. 9 shows the configuration of the speed control system for an AC speed control motor in a block diagram. Fig. 10 shows the waveforms of each block. The speed set value d and the detected voltage e of the speed generated by a tacho-generator is compared in the comparison amplifier block. Then the level of the voltage signal a is determined. The voltage signal a is low when the speed detected value to the speed set value rises, and is higher when the speed set value lowers. 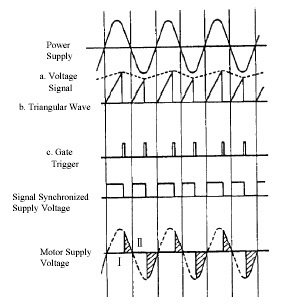 Since the trigger signal is output at the point where the triangular wave b intersects with the voltage signal a, the timing (phase angle) when the triac is turned on with a level of the voltage signal a is determined. When this timing is slow, the voltage applied to the motor becomes low and the rotational speed of the motor decreases. The lowered rotational speed is fed back again and the control is repeated so that the difference between the speed detected value and the speed set value may always be constant. Fig. 11 shows the appearance of the above-mentioned speed control. In Fig. 11, the operation point of the motor draws a loop of Q-R-S-T-Q centering on O, and the rotational speed is maintained between N1 and N2. This loop is reduced as much as possible by increasing the speed detection accuracy. The AC speed control motor has the following features when using this closed-loop phase control. 1) Since the AC voltage is controlled directly, the speed control circuit can be configured simply because a smoothing circuit is unnecessary, allowing for a compact design at a low price. 2) In the same way, a long-life design is possible because a large aluminum electrolytic capacitor is unnecessary. 3) The switching is operated only one time each half cycle of the commercial AC power supply, which keeps the generated noise low. 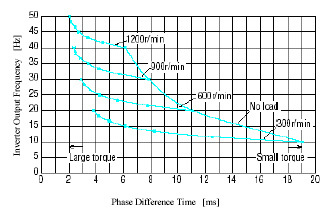 AC motor speed control motors generally have the Rotational speed-Torque characteristics shown in Fig. 12. 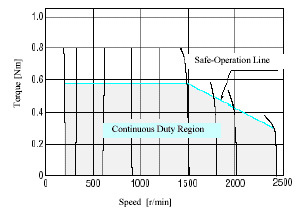 A "Safe-operation line" is included in Fig. 12. The "Safe-operation line" represents the limitation where the motor can perform at continuous duty without exceeding its maximum permissible temperature. As for the construction of a brushless motor, a coil is star-wired (Y-wired) with three-phases: U, V, and W and is located in the stator, and the rotor is made of magnets magnetized in a multi-pole configuration as shown in Fig. 14. As shown in Fig. 15, the Rotational Speed-Torque characteristics of a brushless DC motor show a negative sloping characteristic when its speed is not controlled which is similar to that of a brushed DC motor. 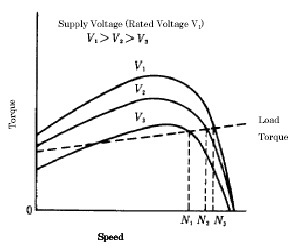 When no load is applied and the input voltage is set at V2 in Figure 15, the operation point of the motor becomes P, and the rotational speed is N1. 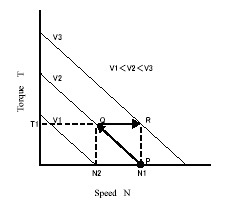 When the load torque T1 is applied, the operation point shifts to Q, and the rotational speed slows to N2, however, the rotational speed returns to N1 if the voltage is raised to V3. 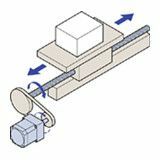 Therefore, since the rotational speed changes whenever the load torque changes, the speed control mechanism will only have to change the input voltage whenever a change in the speed is seen in order to maintain a constant speed on the PR line. This voltage control is realized by an inverter in the output part of the control circuit (driver). This inverter generates a three-phase AC voltage from DC current by turning ON and OFF like the sequence shown in Fig. 16 (b) by using the six switching elements (FET or IGBT) shown in Fig. 16 (a). 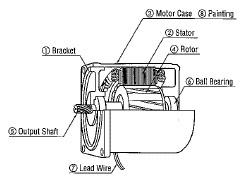 The switching elements are connected to the motor winding as shown in Fig. 16 (a), and the ON/OFF state of the switching element determines which coil of the stator is energized and in which direction the current will flow, that is, which coil becomes a N pole or S pole. In fact, the position of the rotor’s magnetic pole is detected by the hall IC, and an appropriate switching element is turned ON or OFF as shown in Fig. 16 (b). For example, in case of step 1, the transistors Tr1 and Tr6 are turned ON, and the current flows from the U-phase to the W-phase. 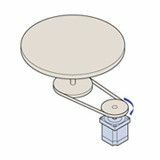 At this time, U-phase is excited as an N pole and W-phase becomes a S pole, and the rotor rotates by 30 degrees moving to step 2. One rotation of the rotor is made by repeating this operation 12 times (Step 1 ~ 12). Fig. 17 shows the configuration for the speed control of a brushless DC motor unit in a block diagram. The switching sequence of the inverter is decided by the signal from the hall IC in the positional detection part of the block diagram, and the motor rotates. Then, the signal from the hall IC is sent to the speed detector to become a speed signal, and it is compared with the speed setting signal in the comparison amplifier block, which then generates a deviation signal. The value of the motor input current is determined by the PWM setting block based on the deviation signal. 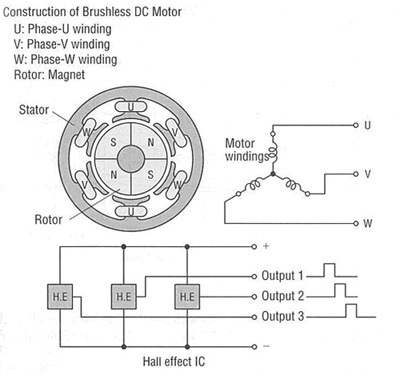 Brushless DC motor units have the following features. 1) It has high-efficiency because a permanent magnet rotor is used and secondary loss is small. 2) The rotor inertia can be reduced, and a high-speed response is obtained. 3) It is possible to downsize the motor because it is highly efficient. 4) Speed fluctuations with changing loads is low. 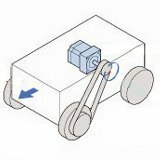 The rotational speed-torque characteristics of a brushless DC motor system have a limited duty region in addition to the continuous operation area. 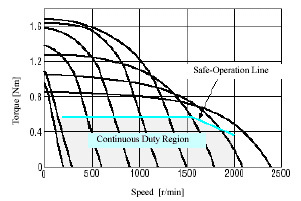 The limited duty operation area is very effective when starting an inertial load. However, when operation in the limited duty region is continued for five seconds or more, the driver's overload protection function is activated and the motor decelerates to a stop. The inverter unit controls the speed of a three-phase induction motor by changing the frequency, f, of the voltage applied to the motor. The inverter unit changes the frequency, f, by changing the ON/OFF cycle of the six switching elements, and the rotational speed (N) of the motor changes in proportion to the expression in formula (1). 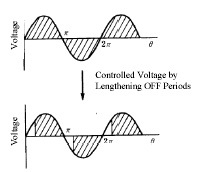 In addition, to make the voltage applied to the winding have a sine-wave shape, the inverter controls the ON/OFF duty cycle as shown in Fig. 21. 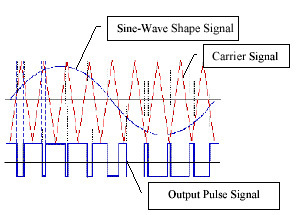 The ON/OFF time is controlled so that the average voltage applied to the motor becomes a sine-wave shape by comparing the triangular wave called a carrier signal with the sine-wave shaped signal waveform. 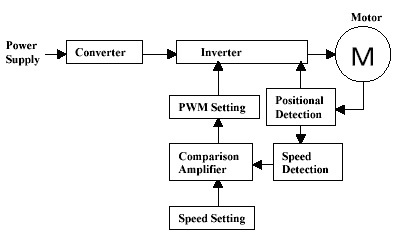 This method is called PWM control. The speed control method of our inverter units is divided into the two types: open-loop control that simply changes the speed and closed-loop control that reduces the speed variation with load changes of the motor. Fig. 22 shows a configuration of the open-loop control in a block diagram. 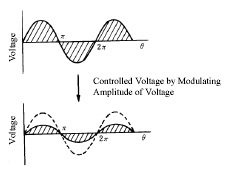 This method is used to change the input voltage and frequency of the motor according to a set frequency. 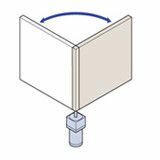 This method is suitable for changing speed and can obtain high speeds (The frequency can be set up to 80Hz.) simply when speed regulation with varying loads is not so much of a concern. The generated torque T of the motor is shown by the formula (2). From this relation, it can be said that the torque will also be constant by making V/f, the ratio of voltage V to frequency f, constant. 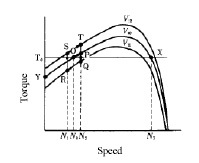 However, the lower the speed is, the more difficult it is to keep constant the input impedance of the induction motor with the change in f. Therefore, to obtain a torque that is constant from low speed to high speed it is necessary to adjust the V/f ratio at low speed in accordance to the characteristics of the motor like the solid line shown in Fig. 23. Fig. 24 shows the block diagram configuration of the closed-loop control system used in our BHF Series. 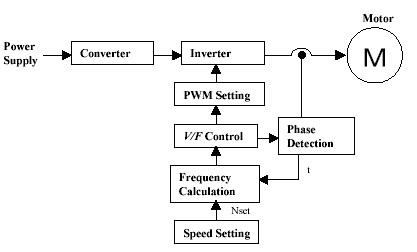 This method detects the phase difference between the voltage of the inverter output block and the primary current, which calculates the driving frequency corresponding to the load using the characteristics data table (Fig. 25) prepared beforehand, and controls the inverter frequency without the need for a speed sensor on the motor. 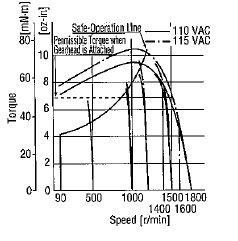 The Rotational Speed-Torque characteristics of the inverter unit are shown Fig. 26 and Fig. 27. 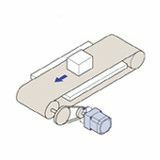 As explained in the AC speed control motor section, a "Safe-operation line" is drawn on the torque characteristic. This line represents the limit for the continuous operation, and the area under this line is called the continuous operation area. Oriental Motor offers three product groups (AC speed control motors, brushless DC speed control motors, and inverter units) for use in a wide range of speed control applications. 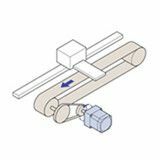 The proper speed control product can be selected according to the function, the performance, the cost, and the purpose desired for your application. Oriental Motor will continue to work on product development so that we can offer the products that best meet the various needs of our customers for in the future.